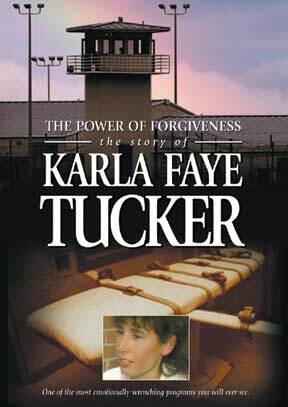 On February 3, 1998, Karla Faye Tucker was put to death by the state of Texas, the first woman to be executed in America in fifteen years. She was a confessed pick-axe murderer. But in prison her life dramatically changed through a religious conversion experience. This former drug-crazed prostitute and savage killer became what many saw as a fully rehabilitated and beautiful, loving person. In this program you can see and decide for yourself. Meet Karla Faye. And meet others caught up in this emotionally wrenching story. There is Ron, the brother of Deborah Thornton, one of Karla's murder victims. He wanted to kill Karla and avenge his sister's death. But through an incredible succession of circumstances he became a close friend of Karla Faye's, came to forgive and love her and advocated that her death sentence become commuted. You will also meet Deborah Thornton's widowed husband, Richard. He wanted Karla to get what was coming to her in retribution for her heinous acts. See why he could find no place whatsoever for even a shred of mercy toward her. Notice: This video provides a rare exploration of human nature and experience. Most viewers report needing to view the program at least two or three times to arrive at a fair response.